Steve Thorburn, a recipient of InfoComm's Educator of the Year and a 20 year veteran of teaching educational sessions at InfoComm Conference and Trade Show, will retire from teaching after this year's conference." As Fred Dixon [told me] when I started teaching, it's time to let the next generation take the lead in providing education to the attendees," stated Thorburn. Steve Thorburn will retire from teaching at InfoComm this year. Thorburn's last day of teaching will be Thursday, June 19, 2014 when he leads two sessions. The first is "AV Integration for Owners and Facility Managers" from 8-10am. The second is "Advanced Acoustics" from 2:30-4:30pm. With over 40,000 student hours logged, Thorburn said, "I enjoy teaching because I like helping others understand the principles of acoustics and audiovisual technology. Teaching is not about filling people's heads with facts; it's about learning new ways to think about fundamental principles. In that sense, I get as much out of teaching as the students." His dual degrees in electrical engineering and technical theater give Thorburn a balanced left brain/right brain approach to project solutions. As a founding principal of Thorburn Associates, he is a licensed engineer with over 30 years experience in the architectural application of acoustics and technology solutions. A noted author and teacher, Thorburn has worked on more than 2900 different projects. 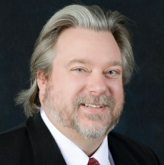 In 2011, Thorburn was named InfoComm Educator of the Year because of "his ability to grasp complex technical concepts and explain them to audiovisual and building professionals," said Randal A. Lemke, the previous executive director and CEO of InfoComm International. "He has improved the industry's base of knowledge, and has improved the communications experience and satisfaction for countless customers." "Even though I'm retiring from teaching, I will still be engaged with InfoComm," stated Thorburn. "I'm happy to assist in whatever capacity I'm needed."